Save an Additional 5% on this Product! To redeem the voucher, please enter the code SALE5 on the basket page. The Carbon Claw Sabre TX-5 synthetic sparring gloves are strong and durable leather boxing gloves that ensure good all-round performance for your training and practice sessions. 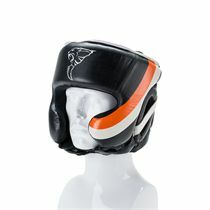 With attached thumb tips and layered foam padding, good impact absorption and safety are ensured. The sewn-in padded finger grip bar lets the wearer clench their fist well inside the glove. The elongated wrist strap adds support, and the hook and loop closure is robust and adjustable. For improved cooling and hygiene the palm area uses mesh material to allow good air flow, and there is a moisture-wicking anti-microbial internal lining. for submitting product information about Carbon Claw Sabre TX-5 Leather Sparring Gloves We aim to answer all questions within 2-3 days. 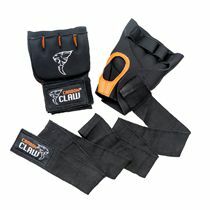 for submitting product information about Carbon Claw Sabre TX-5 Leather Sparring Gloves. We aim to answer all questions within 2-3 days. If you provided your name and email address, we will email you as soon as the answer is published. Very Comfortable and feel secure when on. Only used them three times so far but they seem very good quality that should last a while. 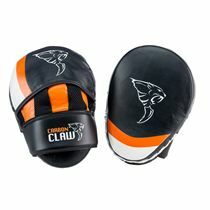 for submitting product review about Carbon Claw Sabre TX-5 Leather Sparring Gloves.